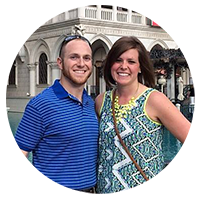 While we are busy celebrating the day with our families, I wanted to give you a quick glimpse of the gratitude we attempted to verbalize this month. So often the holidays come and go, and we skim over Thanksgiving as if it is merely a mountain to climb before the true fun begins- Christmas. Well, that is not the case for me because I LOVE Thanksgiving and the gratitude that arises this time of the year and for that reason I hate even mentioning the red and green commercialization until all the food has been consumed on Thanksgiving. Conner and I kicked off November by creating this little poster to highlight the things we are thankful for. I was inspired by an Instagram picture from Lara Casey and had some Kraft paper in the craft closet so I created this 5 minute project. It was fun to put words into the things that make our lives so full and a good time of reflection on what matters most. Happy Thanksgiving! 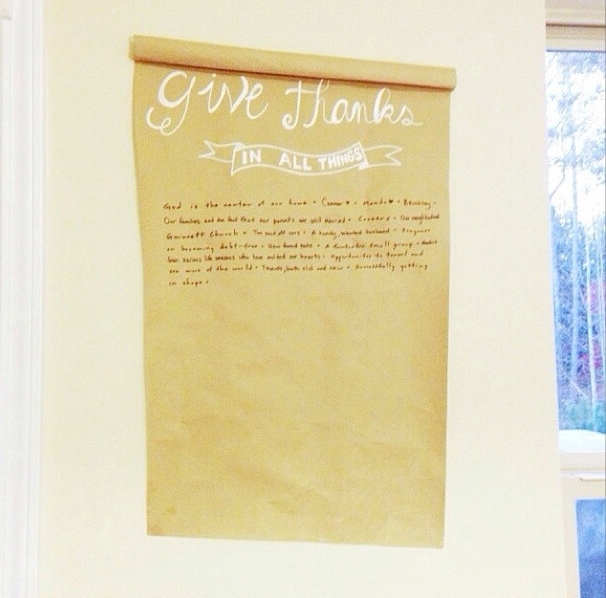 This entry was posted in DIY Projects and tagged craft, give thanks, kraft paper, Thanksgiving. Bookmark the permalink.